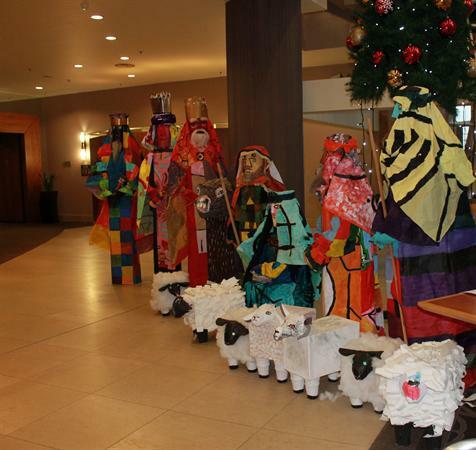 Every December a local art teacher called Pat Bennett from St.Gerard's ERC works with children to create a Nativity scene for the Hilton Hotel in Belfast. 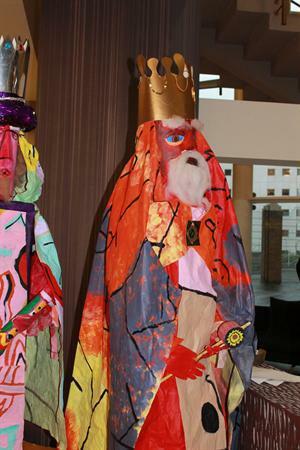 Each year the huge figures are inspired by the work of a particular artist. 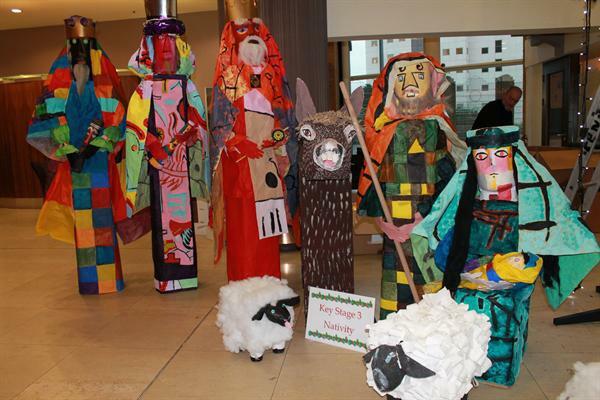 This year the Nativity figures centred on the work of the German / Swiss artist Paul Klee. 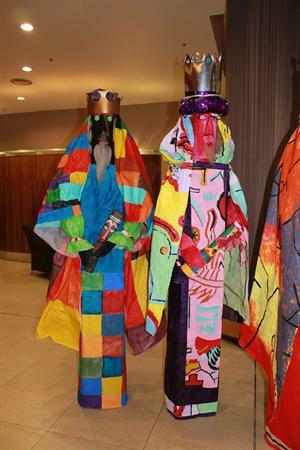 Mrs Bennett won the N.Ireland teaching award for 'Lifetime achievement' and invited Miss Kettle to join her in a joint art project, following the awards ceremony in October. 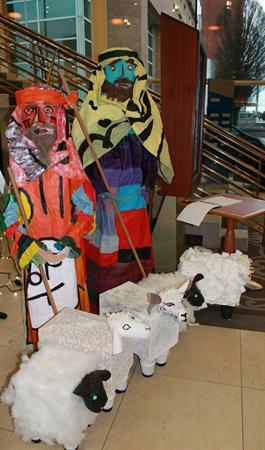 The boys and girls in P2 had great fun decorating sheep using a range of materials. 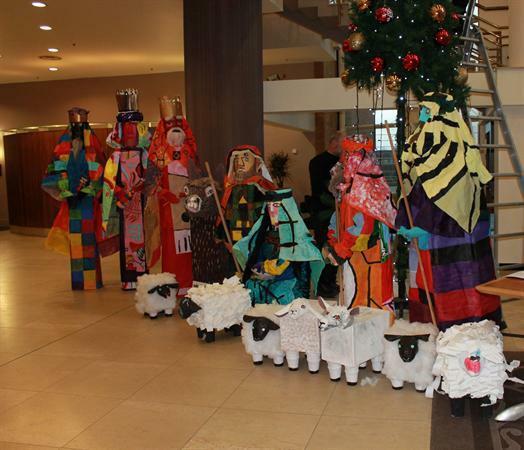 The finished masterpiece is truly magnificent and will be in the foyer of the Hilton Hotel from 21st December 2012 to 6th January 2013.